Since I'm always looking for new ways to use Mason Jars, I thought I'd try something for Christmas this year. So I found a miniature Christmas Tree and decided to put it in the jar. I added some mica flakes for snow and added some rusty tin bells and pip berries inside as well. 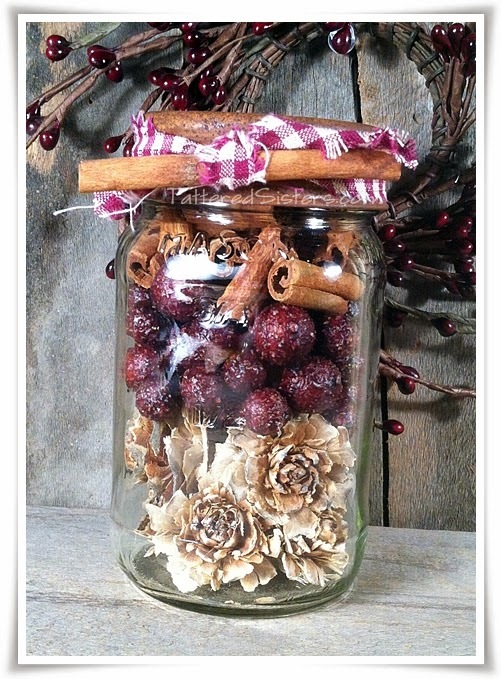 Then I added some pip berries to the jar and finished it off with a rusty tin star. After I finished it I was thinking it would be neat if it was lit up, so I may have to try that another time. But I think it's still cute this way too. I really wasn't feeling very crafty over the weekend--I was in painting mode. So since I couldn't think of a new primitive craft to do and share on the blog, I decided to just do a painting instead. Granted, it didn't come out totally primitive, but I had fun with it anyway. This is my little Primitive Sheep canvas painting--just 6" square. This is another creation I made by painting an air freshener blank--just like the Faux Primitive Gingerbread Ornie I painted last week. It is shaped like a Mason Jar, which I thought was neat. These come in a plain buff color. So I just had fun painting it to look more like a real Mason jar. I left it kind of plain because after I finished it, I thought this could definitely be an ornie, but it could also be a fun hang tag for a gift too. There's plenty of space to write names on it. I just regular craft acrylics to create this--a soft blue color and some metallic silver. I am not sure what I'll end up doing with it really, but I love how it turned out and it was fun to paint. I was looking for some of my muslin bags over the weekend while I was working in my studio. When I finally found the box I was looking for and started digging through it, I found some air freshener blanks I had purchased several years ago (and from where, I cannot recall) inside the box. There were two different packages in there: one was a Mason Jar shape and the other was a Gingerbread shape. Yay! I love finding things in my studio that I forgot I even had. LOL. Anyhoots, I decided to paint the Gingerbread shape so that he'd look like a Primitive Gingerbread man. And I just love how it turned out. I felt like making a Primitive Hangtag over the weekend, and since I didn't have time to do much crafting after a full day of painting in my studio, this was the perfect solution to a quick prim craft project. Just a simple grungy'd up hang tag that I stamped with a cute Primitive Sheep stamp, and then I embellished it just a bit around the edges with a black pen. Cute and prim, and super easy! I'm still kind of on a stamping kick where my crafting is concerned, so I created this Simple Ditty Bag using a recent stamp purchase to share with you. The Willow Tree is part of a stamp set that I got on Blitsy recently. I think the text sentiment came with that too, if I recall correctly. I grungy'd up the Muslin Bag first, of course, then I stamped it. Simple, cute, and prim. My favorite combination. After finding some great Primitive Rubber Stamps, which I blogged to you about last month, I finally got a chance to get back into my studio and put some of them to use. Although I used stamps that I found a few days after my other stamp purchase when I did this project. 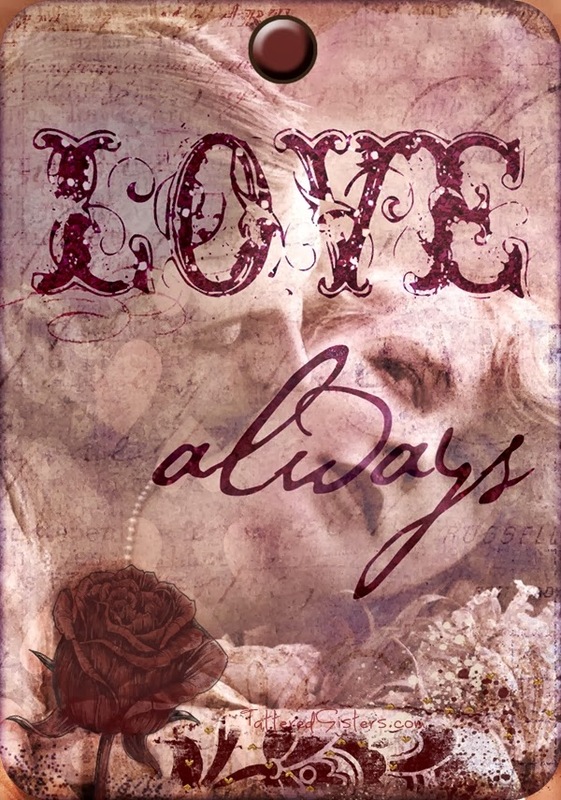 This was my first creation with some of the new stamps. It's a grungy Kraft card, which I turned into some Altered Art, primitive style. 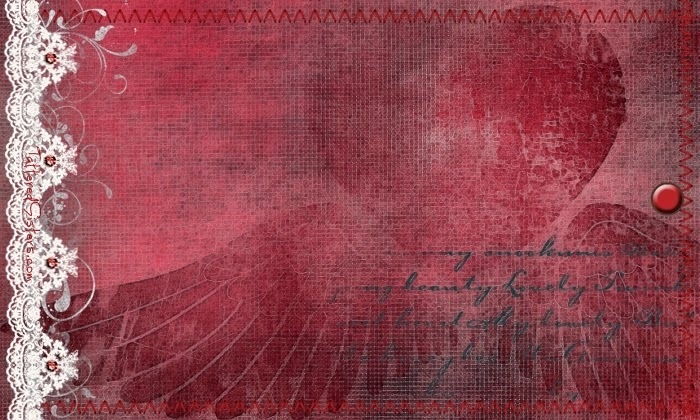 I created this using three different clear acrylic stamps. The Mason Jar is one, the Stars are another, and the text sentiment is the other. The Mason Jar stamp is small (this is a 4x6 card) and is by Dear Izzy. I don't remember where I purchased that one, but it comes with a few even smaller stamps that have text and so forth. The Stars and the text sentiment came together I got them from the Unity Stamp Company. I stamped the stars first, then stamped the Mason Jar, and then the text. And to add the yellow to the stars I used a little watered down Tim Holtz Distress Paint. 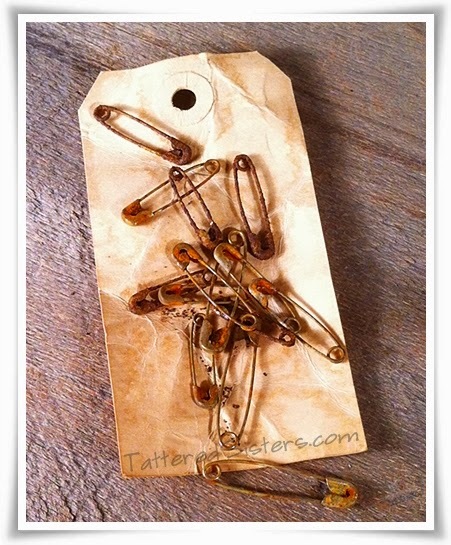 The grungy edges were created with a Walnut Stain Distress Ink, also by Tim Holtz. I decided it would be neat to use the stars to create a matching envelope as well. More stamped projects to come soon! 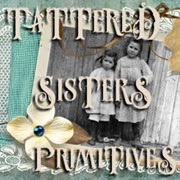 I love great Primitive Finds, especially when they can help me do some more crafting! 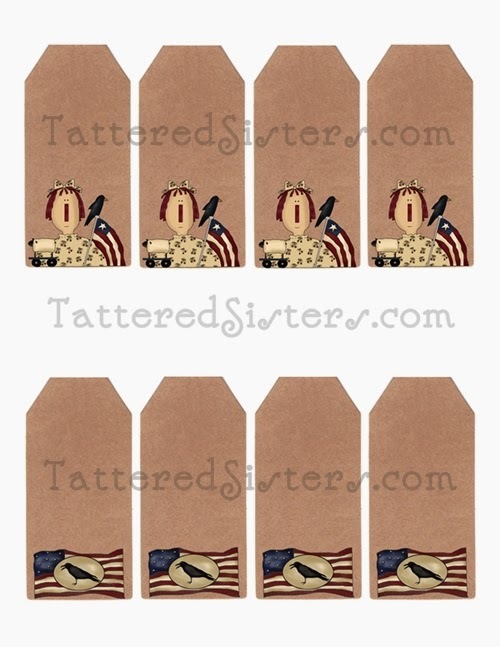 So I was thrilled last night when I saw these rubber stamps over on Blitsy. And I wanted to share my find with you. 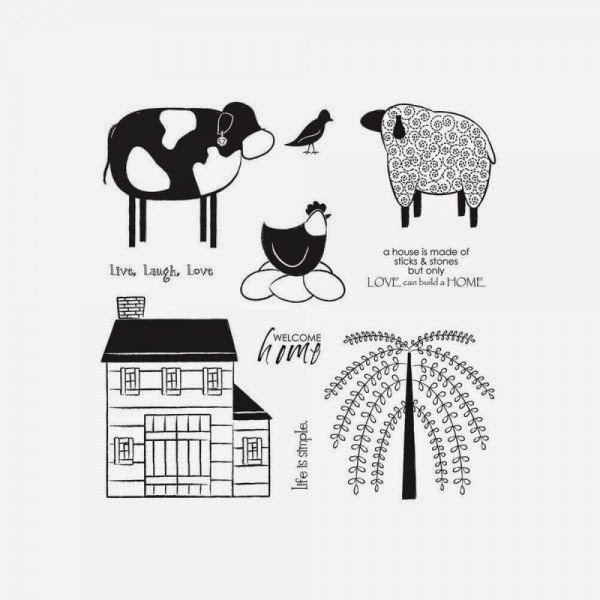 The cow isn't so much primitive-looking, but I absolutely LOVE the sheep and the tree, and the house is cute too. So I know I'll have fun using these when they arrive. So stay tuned for that! In the meantime, if you want to get some of these stamps for yourself, hop on over via the link below. And you better hurry. Items that are for sale on Blitsy are only there for a limited time, so if you want things from that site you have to buy them right away! Since I didn't even make it into my studio over the weekend I decided to add to our collection of Primitive Freebies for you to download. So this is what I created for you. Just click on the bag topper image above and that will take you to my DropBox download page for the image. It's in PDF format. The download link should be at the top right of your browser window. You know, sometimes when you want to give a Primitive Gift, but you aren't sure how to wrap it, it just takes a little scrounging to find the answer. Case in point, Primitive Melts. I had some melts and I wanted to give them as a gift. But how to wrap them? They are small and cute, but not very appealing just all by themselves. So I started scrounging through my stash o'goodies in my studio and found a mini Rusty Tin loaf pan. Perfection! It's April so it's time to think Spring, y'all! And what could be more Spring-like that Robin Eggs?! I had these Primitive Wax Melts tucked away in my stash of melts, so I bagged them up and I'm thinking I'll send them as a RAK to a friend. What could be a better gift for the start of Spring. :) But just in case you're wondering, no, I didn't make these. I can't even remember where I bought them truth be told. But I love them just the same. 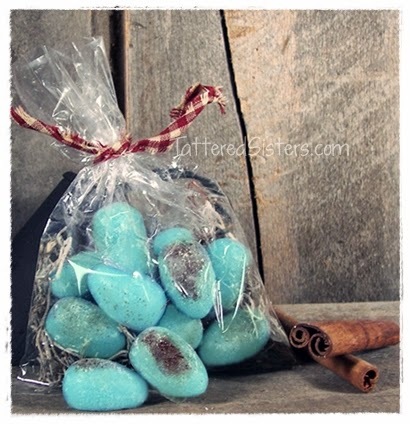 I was poking around in my office the other day, which also is a hiding place for some of my primitive goodies, and I came across some plain Chocolate Easter Bunny wax melts that I had tucked away. They really did look like chocolate too. Well I decided to hand rub them with some cinnamon, because that's just how I roll. 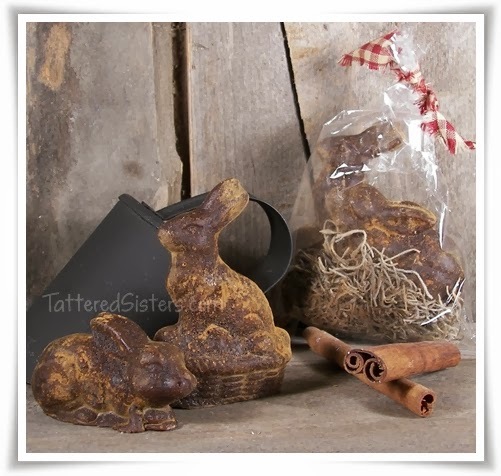 You know how much I love Grungy Goods, so why not grungy up some "chocolate bunnies?" I think they look super cute. I doubt the cinnamon will stay on there forever, but I was just doing it for fun anyway. They still smell chocolatey too. :) I'm not gonna melt them. I'm just gonna put them out for Easter because they'd look cute sitting in a basket, don't you think? Amazing what I can find in this office of mine! I don't know about you all, but in my neck o' the woods it's been downright C-O-L-D! And all I can think is, hurry up, Spring! So with that in mind, I've created these Primitive Spring Eggs Hang Tags. For your download, which is in PDF format, you will get 4 of these hang tags on the sheet. There is a small watermark on the nest part of the tag in the printable version--but the blue watermark near the top of the jar is not on the printable. Just click on the image and that will take you to the download page. You may use these tags on your personal and/or commercial products--BUT, you may not sell these tags or claim them as your own. You also may NOT download the above digital image and use it--the image in the post is for preview purposes only. You may only use the printed version of these tags. Let me know if you have any questions on that. And lets hope that Spring will be on its way soon. I've had just about enough snow and cold this winter to last me for quite awhile. But seeing that it's not even February yet, something tells me that Old Man Winter isn't done with us yet. Stay warm, folks! I came across a blog post recently on the Aeolidia blog that has some very helpful information on how to price handmade goods for Wholesale and Retail. It's a whole post about Wholesale Pricing Tips and Formulas. Since I have a lot of followers who make primitive handmades to sell, I thought I'd share that link with you because I think you'll find it quite helpful. I also wanted to share a downloadable worksheet freebie that I created when I had a business blog. 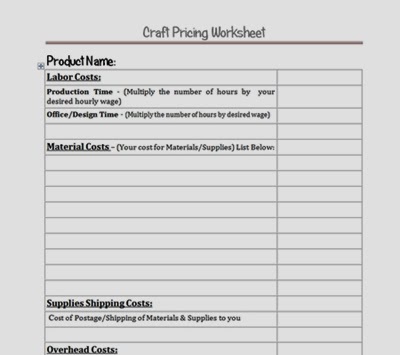 I don't have that blog anymore, but I thought the worksheet is still a good tool for calculating prices for handmades. And seeing that Aeolidia blog post just made me want to share the worksheet here as well. Just click on the preview image above and that will take you to the downloadable document, which is in PDF format. It's yours to download free, and I hope it will be helpful to you. Just remember, there are lots of ways to compute prices for your handmades. If you don't like one, you can do a little Googling and find others that may work better for you. And be sure to check out the Aeolidia site a bit more as well, because they have other articles that may be helpful to you. 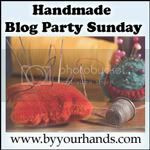 They have another article called Wholesaling Handmade Items, and others that are full of great information. With Valentine's Day fast approaching, I guess it's only appropriate to create some heart-themed goodies. 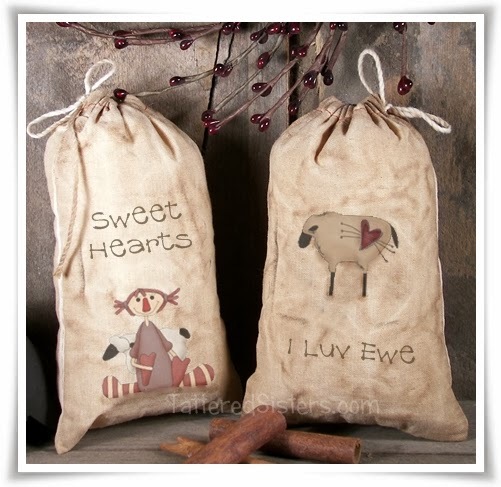 So I've created these primitive Grungy Valentine Treat Bags to share with you. To make these Grungy Goods, you'll need some grungy'd up muslin bags, and you'll need some primitive graphics printed onto iron-on transfer paper. Just as a reminder, you can make your own Grungy Sauce using my Grungy Sauce Recipe. 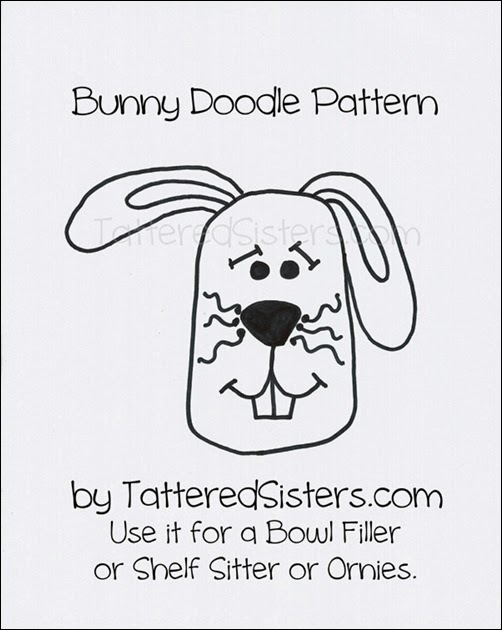 Create any designs/word combinations you'd like and print it onto your iron-on transfer paper. Be sure that if you use words you use the option to reverse the text when you print--otherwise your text will print backwards! 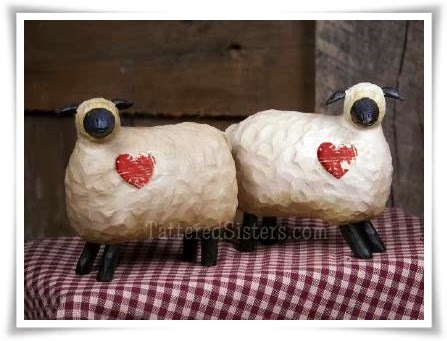 I chose a cute prim gal holding some hearts, and also a primitive sheep with a heart on my bags. 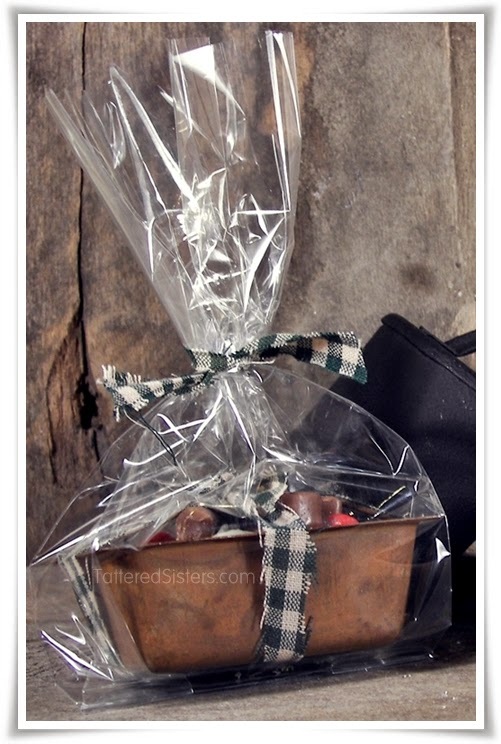 Easy, peasy to make and great for gift-giving this Valentine's Day! My head is sort of leaping ahead to Valentine's Day. I have some heart-themed goodies to share soon, but I wanted to share something also that doesn't involve hearts, but could still be a great Valentine's Day gift anyway. 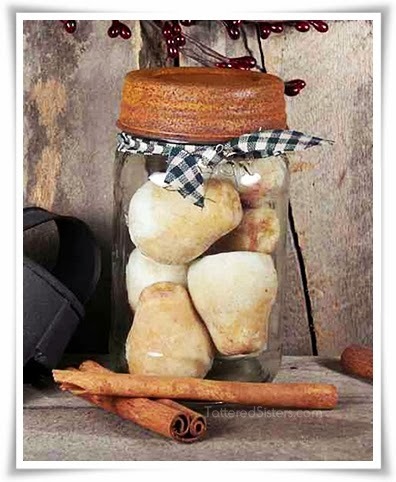 You know I love Mason Jars, and I love coming up with new ways to create Primitive Gifts with them. So this time I've created some Valentine's Day Mason Jar Bowl Fillers. And while there are no hearts in this jar, the colors of the items inside are perfect for Valentine's Day. There are three layers of primitive bowl fillers in this jar. The first layer, on the bottom, is bleached cedar roses. I love these because they are so rustic looking--but also very pretty. Then the next layer has some burgundy-red colored, grungy-looking balls. I happened to have some in my studio and I loved the color so I poured some in. Then I added some 1" cinnamon sticks for a nice, warm color on top. I topped the jar with a rusty tin lid, added a homespun tie, and added a longer cinnamon stick on the jar for a final touch. This is all ready for gift-giving, and all the recipient has to do is pour them in a bowl and enjoy them! The cinnamon sticks will give a nice little natural scent too, which is an added bonus. I didn't add any fragrance oil because of of the burgundy balls; the oil would likely either eat away the color or make them run, and that wouldn't be any fun. But these aren't really meant to be scented anyway--they are pretty just as they are, don't you think? You can make so many gifts with Mason Jars--just layer in your favorite bowl fillers, or even vintage items (buttons, lace, spools, keys) and do them up with a heart-shaped tag or something, and there is just no end to the ways you could make a gift for someone. Sorry that I've been kind of absent of late. The holidays tend to take my attention to family, so I was not as active with my blogging as I normally am. I thought I'd start the new year though with a Primitive Recipe for rusting metal. There are lots of recipes to rust metal. Some involve the use of bleach, which I prefer not to use. So the recipe I like uses simple ingredients you usually have on hand, and that aren't going to be too nasty to use. It will still smell gross, but it's a lot safer than using bleach. Although I still wear rubber gloves when I use this, just to be safe. I urge you to wear rubber gloves as well. It's also important to note that not all metals will rust at the same rate. Iron rusts the best--but how often would we have iron items we need to rust? Just know that if you're rusting various items, they won't all look the same amount of rusty when this process is complete. 1. If you're using a plastic container like I do to do your mixing, poke holes in the lid. Your other container doesn't need a lid, but one of them does because it will serve as a strainer later on. 2. Add your Peroxide, Vinegar, and Salt to your container and stir. The vinegar and salt are going to be doing the rusting, by the way; the peroxide adds oxygen, which helps to speed up the oxidation process. 3. Add your metal items and stir again, then cover with the lid. Then set your container somewhere, away from pets and humans. It's going to smell, and you don't want pets or kids getting into it. It's good for it to get some direct sunlight, if possible. Leave the container set for a day. Stir your solution a few times during the day. 4. Put on your gloves again and then strain your metal items by pouring the liquid out thru the plastic lid of your container into your second plastic container. Once empty, spread your metal items onto your cookie sheet so they are in a single layer. 5. Let the metal items dry for a few hours, then turn them over to make sure they dry completely on both sides. Drying in the sun is very helpful--but do NOT put these in the oven. You don't want fumes from items to get in your metal oven. The items should get more rusty-looking as they dry. 6. Remember that not all items will rust at the same rate, nor will they all look the same. If you're unhappy with the finish you can repeat the rusting process. Now, what do you do with your leftover rusting solution? That's a good question. I've researched this a lot, on a variety of websites--from chemistry boards, to artist sites, to hobbyist-related and all sorts of sites in between. And the options I have found are varied. Dilute the solution with a large amount of water and pour down the toilet. I have done this in the past, and since my husband is a plumber, he said it was fine since the solution has been so diluted, and because we do not have any copper/metal pipes. If you're not 100% sure about your pipes, I would avoid this option. Pour into the solution a large amount of kitty litter. Once the liquid is absorbed, put it into a zip-lock bag and put in your trash. Pour into the solution enough Baking Soda to absorb the liquid; this will serve to neutralize the solution and solidify it so you can then put it in a zip-lock bag and throw it away. Seal the solution into a small container or jar and throw it away. Which disposal method you use is really up to you. I think you should use your best judgement or do some more research on your own. I personally also do not re-use my rusting solution. I feel that after the products are combined and their chemical reaction occurs, the solution isn't quite the same anymore. So I just do a lot of rusting at one time, and make new solution each time. I also found another method of rusting using the same ingredients. So I'm gonna share that here. I haven't tried it, but at least it gives you another option. With a spray bottle, spray items with white vinegar and allow to dry. Repeat on other sides. If any of you try that particular method, please email me and let me know how it went. I think that would be great for doing a small number of items at a time. Happy rusting, everyone! UPDATE: One of our readers (Marcia) wrote in to share some tips for rusting items that she uses with great success. Marcia suggests that you soak things in toilet bowl cleaner first, before rusting them. She says it takes the zinc coating off the items and they then rust a lot better. She also says she uses the cheapy The Works brand, lets the items soak for a few minutes, then rinses them off and dries them before putting them in the rusting solution. Marcia also uses an old toaster oven in the garage to bake her rusting items in for about 15 minutes. Thanks for your great tips, Marcia!